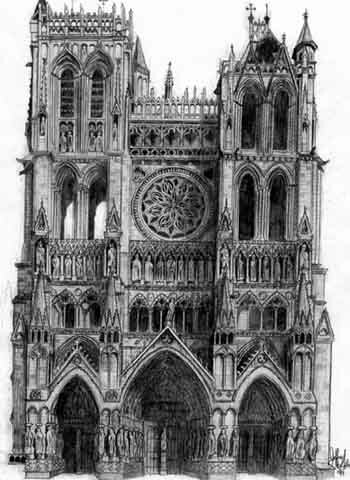 Amiens Cathedral, in the heart of Picardy, is one of the largest classic Gothic churches of the 13th century. Using technical innovations introduced at Chartres, the building's successive architects, Robert de Luzarches, then Thomas and Regnault de Cormont, completed the works in only fifty years (1220-1270). It is notable for the coherence of its plan, the beauty of its three-tier interior elevation and the particularly fine display of sculptures on the principal facade and in the south transept.